Esoteric Acupuncture is a form of acupuncture that focuses on wellness and the deep expressions of the Heart that are experienced when one is well. Being well includes, and expands beyond, maintaining physical, mental, and emotional health. To be well is to be in one’s heart center. The journey of centering is filled with joy, love, challenges and suffering. We cannot get anywhere without embracing our full experience of what is true in each moment. And yet, as we go deeper into our Heart center steadiness arises and the swaying of emotions and mental chatter unfold, revealing something else. The journey is part of the mystery. Esoteric Acupuncture was first shared by Dr. Mikio Sankey. This approach activates specific acupuncture points in a particular sequence through the form of sacred geometry. This helps fortify one’s energy field, harmonize the energy of the meridians and chakras, and allows for something else to occur. Herein lies the magic. 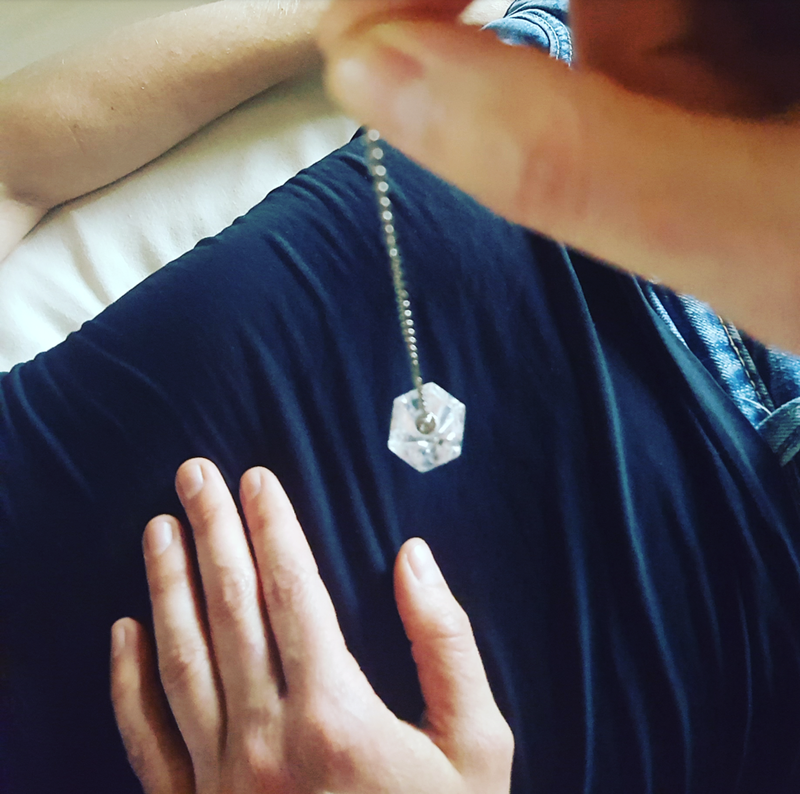 When the energy is activated in this way it includes and transcends traditional Chinese medicine and moves qi through the bodymind in a unique way. This allows the client’s intentions to clarify and their energy to integrate and resonate at a refined frequency. This experience opens the gates for something new to arise. This form of acupuncture is safe and natural way to support one's consciousness and development. Many who benefit from Esoteric Acupuncture are aware of their spiritual nature and are pursuing a spirit centered life. Many others are on a path of self discovery and are supported by the healing benefits of this form of acupuncture. Those focused on recovery or stability also benefit from this care. We are in a time when we don’t always have to go through all the motions to experience change, or access knowledge. Not everything is linear. Through the study of resonance we are better understanding how information can be accessed and awareness can be heightened at a rapid pace through non-linear experiences. This is one gift of having a refined energy field. The sensation of Esoteric Acupuncture is often described “as going into an altered (or dreamlike) space,” deeply relaxing,” “insightful” or “trans-formative.” Many experience “Aha!” moments helping them on their journey. Others experience physical challenges resolving unexpectedly and emotional/mental clarity. Every session is a unique experience that arises from the meeting of the energies of the client, the practitioner and the acupuncture itself. The experience is intended to turn one’s attention in to their own self, where the answers they need reside.